1.1 Want to read more? Browse other topics in Community Discussions or view latest topics. Packing on muscle is hard work. Even when you eat right and train hard, results can be slow. 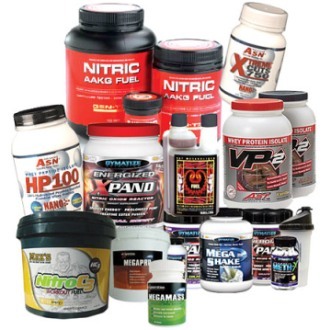 Bodybuilding supplements are a top tool that can be used to enhance the effects of your diet and training regime, speed up the muscle building process and give you the physique you desire in record time. 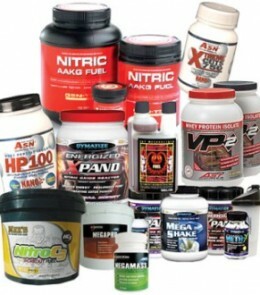 This post will list three of the top bodybuilding supplements on the market and explain why they’re so good. Protein is used by your body to build, maintain and repair all of its cells. It’s essential for muscle growth and if you fail to consume enough protein, your muscles won’t develop, regardless of how much you lift. Eating a diet that’s rich in fresh fish, fresh meat, nuts and seeds will supply your body with a good amount of protein but by supplementing this with a high quality protein powder, you can ensure that you’re getting maximum muscle gains. There are lots of different types of protein powders on the market with whey protein, casein protein and soy protein being three of the most popular. Whey protein is a fast absorbing protein and a great choice if you’re planning to take your protein powder post-workout, as it will reach your muscles quickly when they need it the most. Casein protein is a slow absorbing protein and a top supplement to take just before bed in order to give your muscles a steady release of protein throughout the night. Alternatively, if you’re lactose intolerant or don’t eat dairy, soy protein is a brilliant substitute for whey protein and casein protein (which are both produced using milk). Creatine is a popular bodybuilding supplement that tops up your creatine phosphate levels (a compound that enhances the energy efficiency of your muscles during fast, explosive movements such as those performed during weightlifting). Taking creatine allows you to lift at a high intensity for longer periods during each workout and therefore maximize your muscle development over time. Creatine monohydrate is the most popular form of creatine out there and is a white powder that you take with water. However, due to its grainy texture and the fact that it doesn’t fully dissolve in water, many people find creatine monohydrate unpalatable. 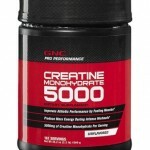 Therefore, if you find it difficult to consume in this form, creatine capsules (capsules containing creatine monohydrate that can be ingested directly without water), liquid creatine (a type of creatine monohydrate suspended in liquid that has a smoother texture) and creatine citrate (a combination of creatine and citric acid which dissolves in water more effectively than creatine monohydrate) are all excellent alternatives. EFAs don’t get nearly as much attention as protein or creatine when it comes to bodybuilding. However, they’re just as important as these two supplements for building up your muscles. EFAs are used directly by your muscles to construct cell walls and membrane fluid. 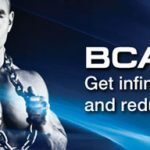 In addition to this, they help your muscles utilize any protein you consume more efficiently, enhance your overall energy levels and stimulate the production of muscle building hormones such as testosterone. Finally, EFAs lower inflammation in your body and this helps to relieve the joint and muscle pain that you may experience after intense weightlifting. EFAs can be sourced naturally from your diet with dairy, fatty fish, nuts and seeds all containing high levels of these powerful nutrients. However, by combining your dietary intake of EFAs with a good quality EFA supplement, you can guarantee that you enjoy the benefits highlighted above. As with protein and creatine, there are lots of options when it comes to choosing your EFA supplement. 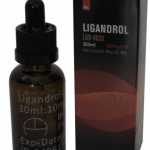 To find an EFA supplement that gives you the best results, go for well respected brands such as Controlled Labs, Labrada, Optimum Nutrition and Source Naturals. Also, check out the customer reviews of any EFA supplement before you buy and don’t part with your cash until you find a product with reviews that are largely positive. By combining the three supplements above with a well thought out diet and training plan, you can significantly boost your muscle growth. The protein powder will provide your body with the fuel it needs to keep producing muscle cells, the creatine will give you the extra energy you need to keep working out at a high intensity and the EFAs will ensure that your body builds up your muscles in a fast, efficient manner. So stock up on these three bodybuilding supplements now and start unlocking your full muscle building potential today. Want to read more? Browse other topics in Community Discussions or view latest topics. 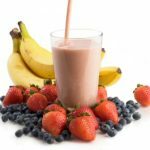 Protein Shakes For Bodybuilding- Are They Useful?